GREAT HARBOUR, Jost van Dyke, VI – Virgin Islands Party candidate for the Second District, Rajah A. Smith is determined to hit the ground running following the elections of June 8, 2015 as he said if he is elected he would immediately begin to tackle issues such as healthcare and employment as priority areas on the island. 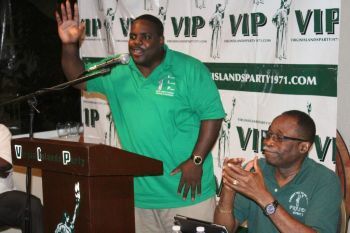 Speaking at a Virgin Islands Party (VIP) community campaign meeting in Jost van Dyke yesterday May 15, 2015, Smith was responding to a member of the community who while saying that she appreciated what he said in his earlier presentation about representing the district, she wanted to know what specific issues he would deal with as a matter of priority on the island of Jost van Dyke. 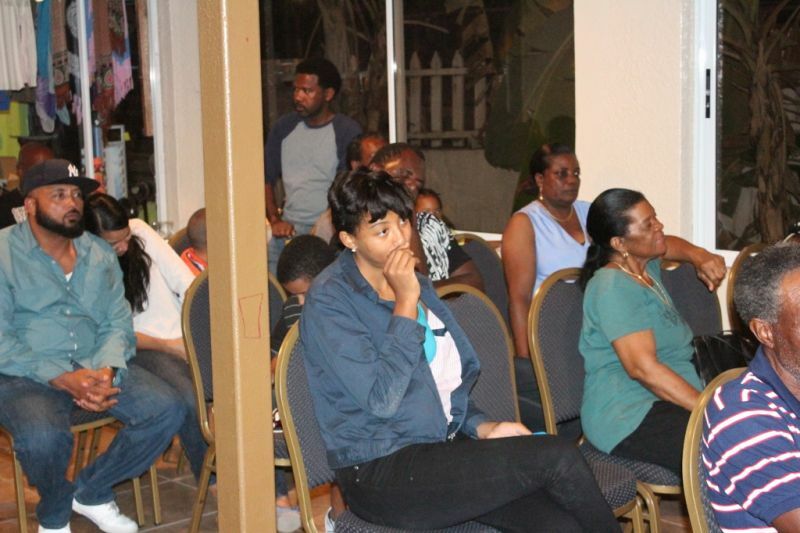 The meeting was held at Rudy’s Bar and attended by Chairman of the VIP Hon Julian Fraser RA (R3), President of the VIP Carvin Malone and At Large candidates Irene Penn O’Neal, Sharie B. de Castro and Dr Karl Dawson. “One of the first things I want to work on is the healthcare in Jost van Dyke. People have been complaining that the doctor comes over at 10 am and wants to catch the 2 pm boat,” he said, adding that he is going to advocate and make representation for a resident doctor for the island and also a better clinic. 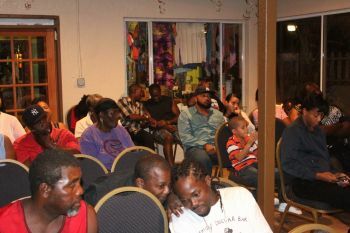 He said the next issue he wants to work on in Jost van Dyke is that of employment opportunities and he believes he can make a difference using the petty contract system to create jobs. 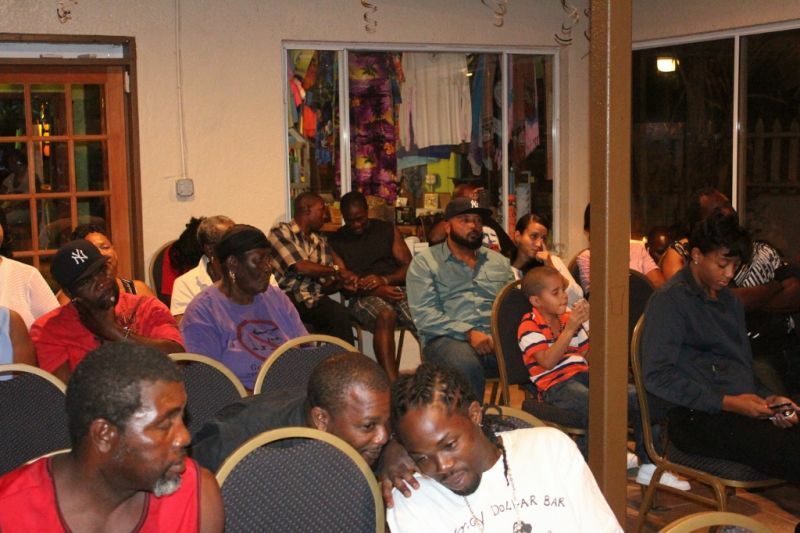 “For a long time a lot of people saying that the island doesn’t have any work opportunities. I want to create a system of work opportunities that would create work on the island for men and women and find ways how we can spread some of the benefits of the petty contract system,” he said. He said that the allocations for such works are there for the main island of Tortola and that it should be the same for Jost van Dyke. He said that from June 9, if he could get the allocation right away, he would take a significant proportion of it and put towards such petty contracts for the island. “But you know the Second District is a big place and it is made up also of Cane Garden Bay, Brewer’s Bay, Harrigan, and Meyers. 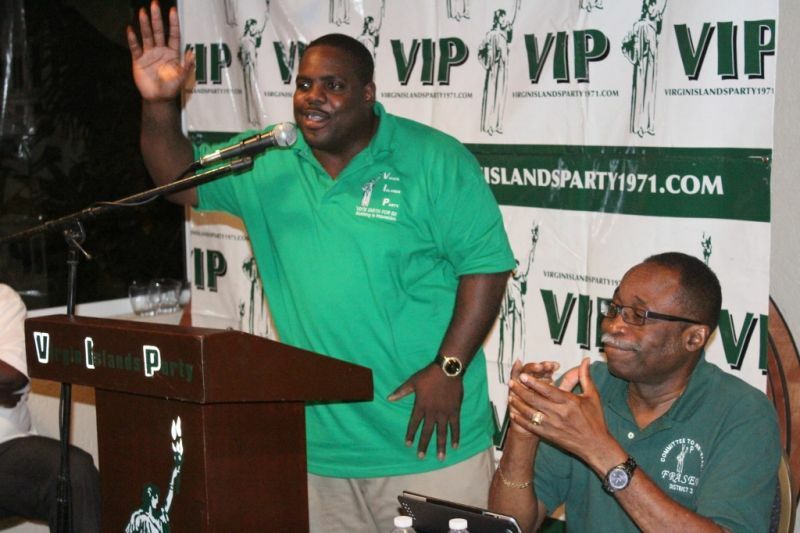 Once we are successful in having a two-thirds majority in the House, I will convince the Chairman, our Premier [Hon Julian Fraser RA] to move the vote to have Jost van Dyke have its own district so by the next election I would just plan to run for Jost van Dyke,” he said. Smith said Government currently pays two or three police officers and as such should be able to pay for a full time doctor on the island. “I think that the Government could afford to have a doctor who resides on the island,” he said, adding that the clinic should be expanded to include a trauma centre and an additional two beds. He said with regards to a community centre on the island, as representative he would revisit the drawings for the community centre to ensure that it meets the satisfaction of the residents in terms of what they want to see in the community. Smith also told the gathering that he would examine the need for secondary education on the island and will be marshalling the expertise of two At Large candidates – Dr Karl Dawson and Sharie B. de Castro – to examine this and others issues related to education. A young man, Dexter J. Donovan said agriculture needs to be a priority area for the incoming district representative to look at. He said too that youths of the island need to learn certain skills that the old folks might not have passed on to the younger generation but what they could earn an income from should they be equipped with those skills. “Daddy we serious. 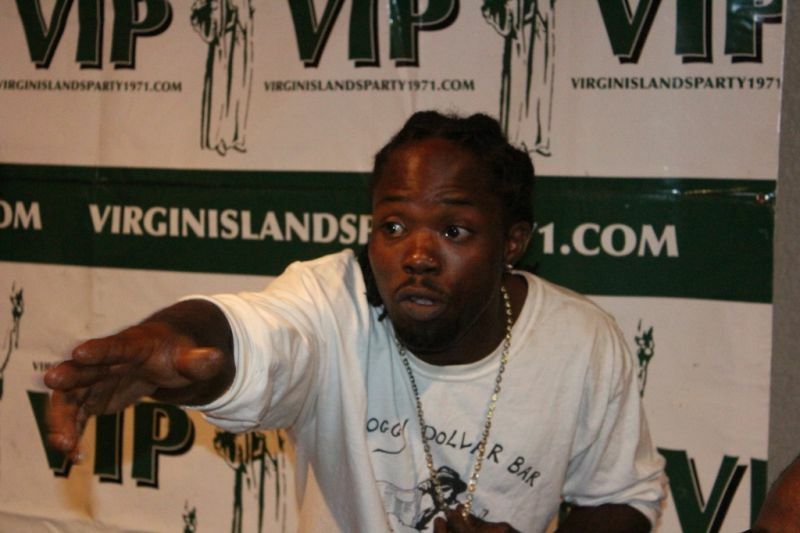 Once we know you serious we gon push you,” said Donovan to Smith, lauding the fact that Smith is a schoolmate of his and a native of Jost van Dyke. Smith promised to address the young man’s concerns including providing them with lands for agriculture. Smith told the people that he would need all of the votes of the community if he is going to be successful in serving the people as their representative. if you an your party gets into office,just remember to deliver on all these wonderful promises you are making. So you say you sanction him pulling an Alvin on D2 people. the NDP spent 3 1/2 in power, walked off the job and now asking for 4 more years...punish the NDP at the polls...do not vote for the NDP because mark or myron could end up premier...it is scary...take no chances...make no mistakes...VOTE VIP ALL THE WAY! Then Fraser will end up premier. That my friend is scary. That should be what the VIP should be stressing on.Let the people find out from the NDP They give them four years to run the country . In three and a half year they walk off the job ,and leave unfinished work . How to we know if we put them back in the House of Assembly they will not do the same thing .Instead of the name calling.That should be what the VIP give the voters to thing about. I agree, take a second look people. These brothers of "g"od his family are coated with bad sugar. There records speak...from adultery, derailing for power, bribe, false pretense, lifestyle. These are the last days. Many false prophets. Power in the church becomes insufficient. They tend to have the biggest gathering but remember only a chosen few will enter the gates of heaven. They are his campaign managers. dont let the turnbull name fool you. He is a cline in disguise down to the bone. In a regular family tree, your aunt's son is your cousin so why is Mitch's family tree different. CLaude is not MItch's uncle. Stick to politics and stop with all the other crap. So you saying if elected you will create your kingdom on JVD and then pull and Alvin. Since when is Claude cline Mitch's uncle? Stop spread lies. Mitch Mentioned and highlighted farming in his speech as well as , the promotion of the fishing industry in the second district. 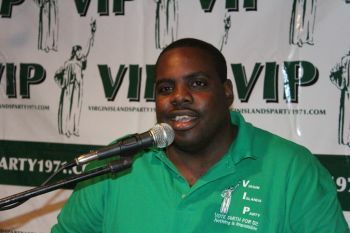 A VOTE FOR THE NDP IS A VOTE FOR THE UK TO TEK OVER ME BVI HELL NO! You are so confused! Wrong party, it will happen though if we elect the VIP! Hell I think the rest of us Virgin Islanders may just run for cover along with the thrushies. Must be mad!! The NDP is the best thing for the country at the moment. NDP All The Way!! !